The flag of Tonga consists of a red base with a white square in the upper left corner. There is a red cross centered on the white square. Meaning: The red cross represents the country's belief in Christianity. 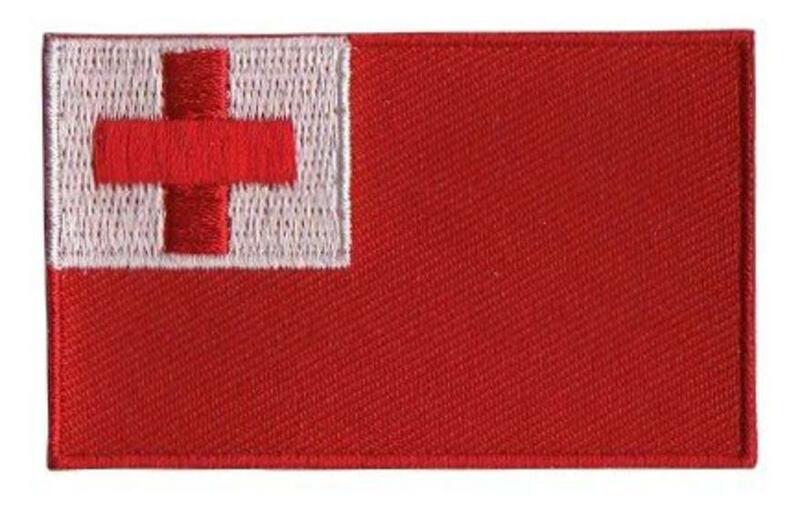 The white stands for purity and the red represents the blood Jesus shed at his crucifixion and reminds Tonga's people that they owe their salvation to him. History: The Tongan flag originated in the 1860s and was adopted on November 4, 1875, making it one of the world's oldest flags. The constitution of 1875 stated that the Tongan flag should never be changed. The Tongan flag was based on an idea from the Tongan King, George Tupou I and possibly patterned on the British Red Ensign, a red flag with the Union Jack in the upper left corner. Tonga gained independence from British protectorate status on June 4, 1970.